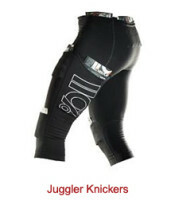 David Green is the CEO of 110% Play Harder compression and recovery gear. I was fortunate enough to get some time to talk to David before his first attempt at Badwater earlier this month. David has one of those spirits that make you want to push a little harder and think a little bigger. His energy is contagious and it shows in his passion to compete and in his work. David finished Badwater in 39:23. Below is our discussion as he prepared to run the event. 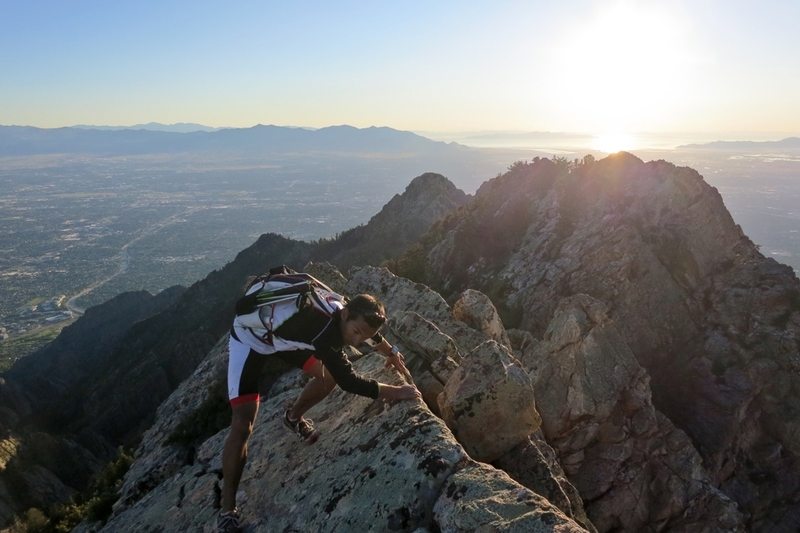 Q: Why did you choose Badwater? Is it something personal or is it something you had on your bucket list? 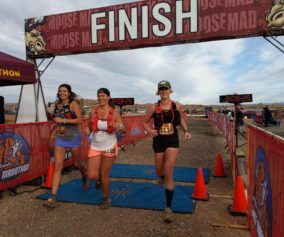 A: I wish it could be as simple as saying it was on my bucket list or it has been a child hood dream of mine to do Badwater, but it’s more of a combination of things. My entire life’s athletic roadmap has been taking things as a journey one day at a time and whatever comes up around the corner that motivates me and inspires me is something I latch on to and make it my life’s calling for that period. The day after the Brazil 135 I knew I had to do Badwater! It the greatest race in the world! I immediately put in my request and out of the thousands that register I got accepted! Q: We all have low points in a race. At what point in the Brazil 135 did you question your sanity or training? 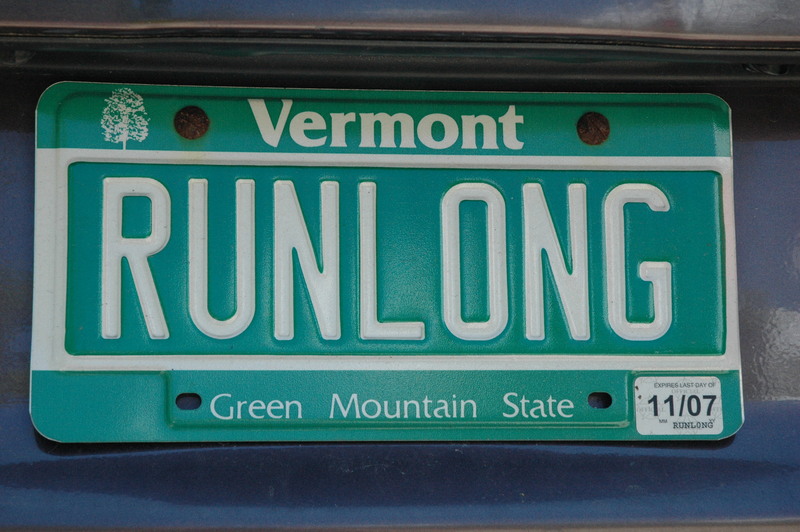 Was there a mantra or thought that kept your legs turning? A: I had a couple low points that were unexpected. One was in the first 25-miles where there was a jungle section. It was very humid and it had been raining. You are at mile 25 of a 135-mile race in single track with bad footing and you can’t even walk! 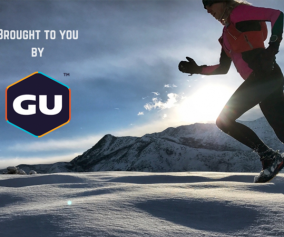 You’re falling, sliding and getting muddy and you start wondering how are you going to finish this race? You don’t panic but you’re heart rate is definitely up and your engine is running much faster than it should be. I had trouble getting down fluids because of my heart rate. I thought I might not get to the finish. I walked a little bit and began to feel better. 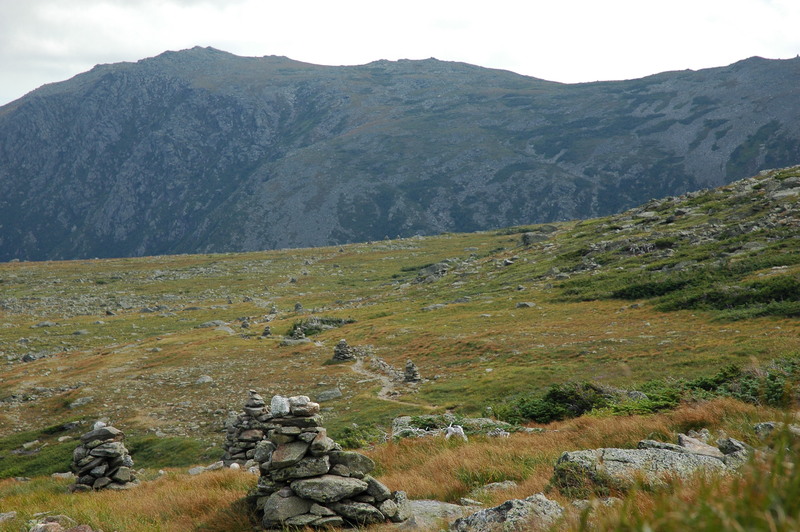 The old adage of continuing to put one foot in front of another holds true, especially with the longer distances. And then my crew had a meltdown. The two brothers got into a fight and one drove off with the car and one walked in the other direction. They had missed a food stop due to traffic and began to argue. So I went an hour without any food or water! I walked over to another runner’s crew and asked for water, salt and help. The ultra community is so open and nice. They gave me a peanut and butter sandwich, salt tabs and a few gels. My wife’s brothers eventually came back and everything was fine after that point. Q: I read that you have a “van full of virgins” (posted on Twitter) for Badwater. How will you guard against a meltdown with the crew? 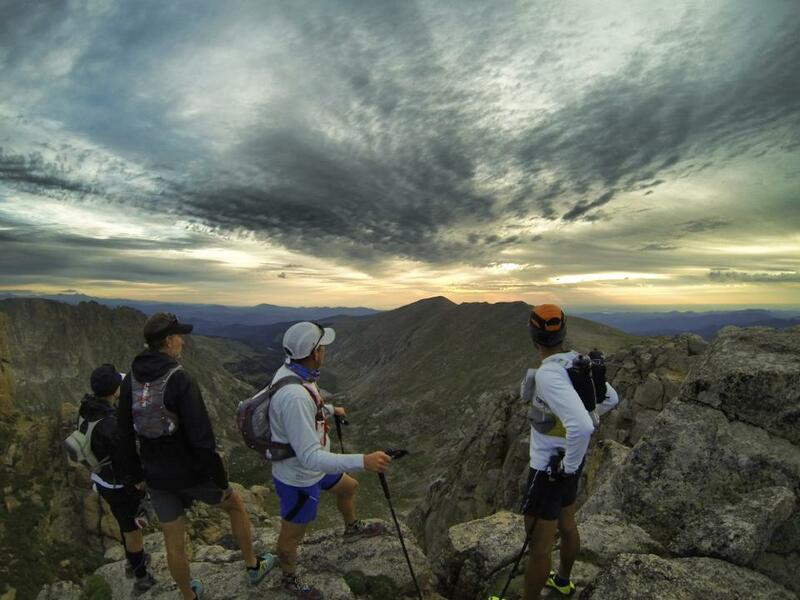 A: I look at ultra races as a total team effort. There’s no way it’s about me. It’s all about team. That team will have a lot of challenges like the unpredictability of sleep deprivation. Everybody needs to make sure they are all fed and hydrated. Dealing with the adversity, keeping cool heads and realizing at the end it will all be very meaningful is important. Everyone needs to keep cool a head and finish the race. 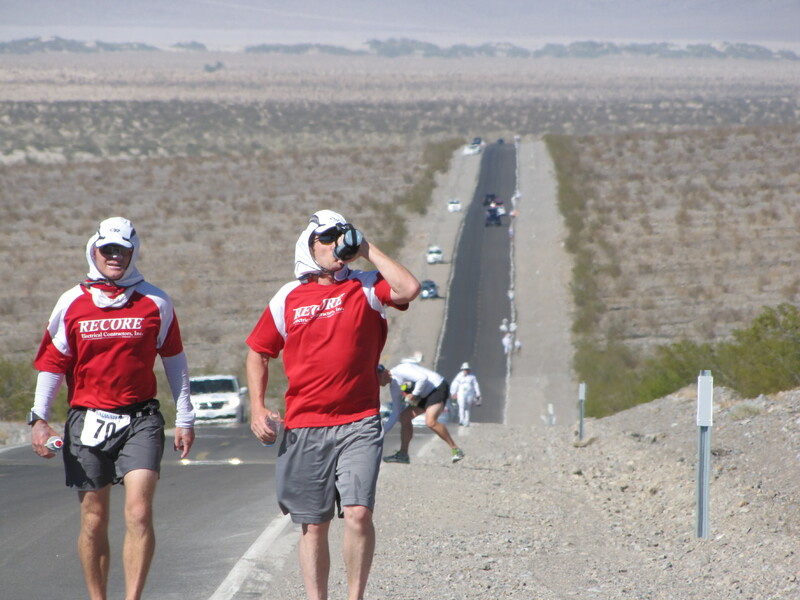 Q: Do you have a projected time for your finish at Badwater? A: I know from working with my coach and all my training what my projected time of finishing the course should be. I believe I should be within 36-40 hours and I made a checkpoint average for the crew and logistics. But, it’s really about finishing the race. That is the one thing I want to do and is of paramount importance to me. I know I am not going to win the race and that’s ok. This is a lifestyle choice and I want to do this for a long time. I have found through my athletic career that the more pressure I put on time I know it will become insurmountable and I will burn out. There’s an equation there. If I have a PR that’s great, if I don’t, it’s all good. Q: Based in FLA how are you prepping for the climbs of BW? A: I don’t live in an area where I can run hills every day so I have to set my expectations differently than if I were to run a flat course. I focus on specific training. I can do squats, or pull a tire. I am also very passionate about the company and the product. For the Brazil race there was 30,000 ft of elevation and I realized I wanted to create something that would give my quads support so that is where the idea came for the 110% Kick Back Quad Sleeves. I wanted to give my quads some support. I used the prototypes at Brazil. At first I ran without them and my quads were shot. I then put them on and realized the compression on my quads made a huge difference. Q: What will your recovery plan be as soon as you hit the finish line? A: It’s important to drink and bring in calories. You’ve got to listen to what your body needs. It’s a different game at the finish line. All protocols are out the window. I like to put on compression right after the race and after I shower. 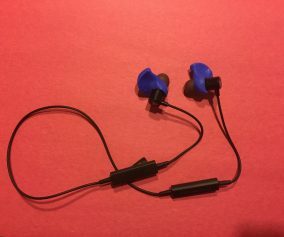 It helps with the circulation and it gives your muscles warmth and support. Q: Your Rocky Raccoon 24:41 time in 2011 was a great time! What, if anything, would you change about that day? A: I didn’t do enough training using my small stabilizer muscles. I train in Florida and there’s a lot of pavement and at most a fire-road. At Rocky Raccoon you are constantly moving left and right and up and down. By mile 70 my hips were shot. I think maybe if I had done a bit more gym work I would have been better off. Q: How do you perceive Ironman events now with as many as you have competed in (16 Ironman finishes)? A: The reason I am doing ultras is because I travel so much for 110%. I really enjoy working with retail and consumers. On the road I found by necessity I can’t put in the volume so I had to find something else and ultra running fell into my lap. I am so happy that I found ultra running. The community is so welcoming. It’s a tight, inclusive, thoughtful community. There’s more of a journey aspect, more of a lifelong choice. It’s been a great community to be a part of. Ironman is more of a do it attitude, a “you’ve got to crush it mentality.” Everyone wants to get to Kona and everyone wants to get faster and there’s no budget. It’s the difference between working on Wall Street versus living in the country. I couldn’t ask for more from long distance running. It provides a tranquility and peacefulness that you get that is not found in Ironman. Ironman is more of a testosterone driven adrenaline experience. I would like to go back and do an Ironman one day when I have time to bike and swim and see what it looks likes coming from the ultra world. I know when I go back to Ironman I will want to go fast. Everything will be to the limit. 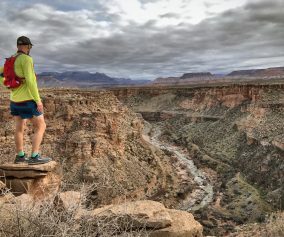 Q: Should trail running stay “poor?” By that I mean should we be pushing to get major sponsors involved and try to bring in the big prize money or will it ruin the sport? 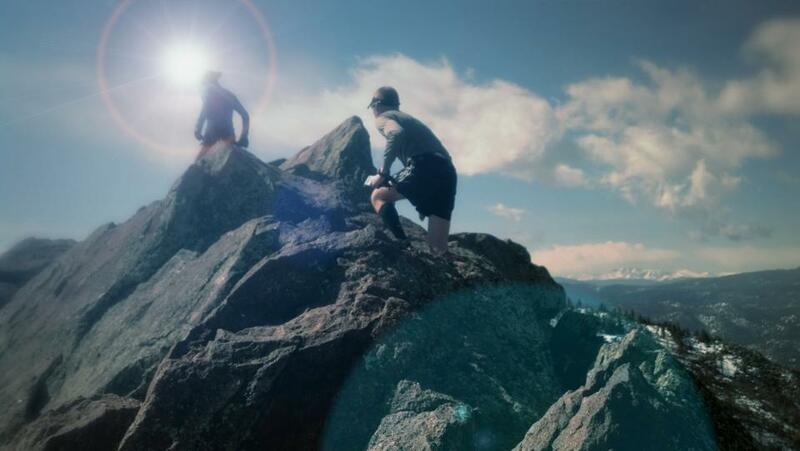 Could it turn trail running into Ironman? A: I don’t think we will have a choice. The reality is passionate athletes drive the choice to participate in sports, which in turn brings in the sponsors. The fact is you can’t get into Leadville anymore. Badwater is the ultimate Ironman. There are thousands of entries and only 45 get chosen. The reality is that if it gets more mainstream, the sport will have to think about how to prepare for it so that we can think forward in a way so that we don’t lose the authenticity and keep the community and culture to stay unique and true to its roots. Q: Share one of the light bulb moments for a 110% product? A: Rocky Raccoon was the light bulb for the quad sleeves. My quads were destroyed. During that race I thought quad sleeves would have been something that would have helped. I don’t think of myself as a different athlete from anyone else. If you are doing your first 5k or your first marathon that is heroic. We are all trying to go 110% or break through a barrier. Most products come from the repetitive nature of running and feedback from athletes. You start working on the solution and bingo! The majority of these ideas come from the people and the issues that arise with them. 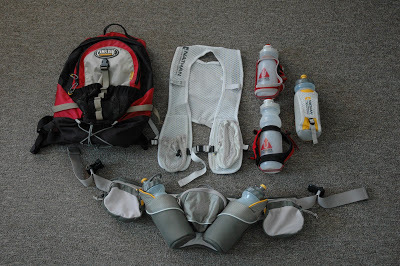 Q: What 110% item should every ultra runner own? A: Every ultra runner should own a pair of the 110% Juggler Knickers. There has always been a training block that gives you a tweak in your knee, IT or hamstrings. With the knickers you have an unbelievable performance garment say if your skiing and want something to give the quad some support. Lastly you have the silver bullet of adding ice to the compression. Breakfast race morning is: Yogurt, Granola with berries and orange juice. Oddest thing you’ve seen during a race? A person balled up in the fetal position on the trail at Rocky Racoon in the middle of the night. We had to step over him. Most embarrassing moment running? Running in town and having a Dunami. When you need to make a duty and it’s a Sunami. I had to jump into a bush. Post race treat? A beer, a Guinness.